1 S6L 32D surface with 1 additional touch screen and 1 laptop articulated arm. 1 S6L 24D surface with 1 additional touch screen and 1 laptop articulated arm. 1 Venue E6L-192 with 2 HDX- 192 DSP cards, 2 AVB cards, MADI-192 MADI Option Card, WSG-HD Waves SoundGrid Option Card and Waves Extreme server with Mercury Bundle, SSL4000 Plugin collection and Abbey Road Plugin collection licenses included. 1 Venue E6L-144 with 1 HDX-192 DSP card, 2 AVB cards, MADI-192 MADI Option Card, WSG-HD Waves SoundGrid Option Card and Waves Extreme server with Mercury Bundle, SSL4000 Plugin collection and Abbey Road Plugin collection licenses included. 1 Venue Stage 64 with 64 analog inputs, 8 AES outputs and 24 analog outputs 54 Ramlatch panel included. Avid Venue D-Show 5 DSP Cards with Waves Mercury Bundle, SSL4000 Plugin collection, 2 Snake Cards, Madi Card, firewire card. Avid Venue Profile 5 DSP cards with Waves Mercury Bundle, SSL4000 Plugin collection, 2 Snake Cards, Madi Card, firewire card. Avid Venue SC48 with Waves Mercury Bundle, SSL4000 Plugin collection. Avid Venue SC48 Remote with Waves Mercury Bundle, SSL4000 Plugin collection. Avid VENUE Snake Card BNC Digital Snake Card. FireWire Option Card for VENUE FOH or Mix Rack. 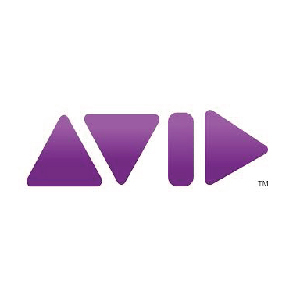 Avid AT16 16 Channel A-Net Output Card for Venue Mix Rack and Venue SC48.